Harmony XL PRO London. Vascular & Redness Reduction. What is Harmony XL PRO Vascular Laser Treatment? 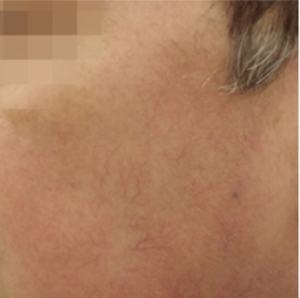 Did you know that there’s a non-surgical treatment specifically targeted towards vascular lesions? 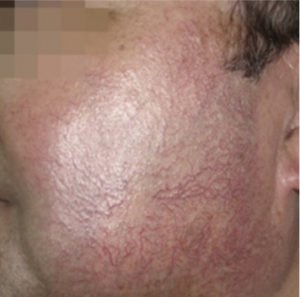 Harmony XL PRO Vascular treatment in London can treat these types of facial issues in a safe, effective and rapid manner. It works by exposing the affected area to short pulses of light. This light forces a build up of haemoglobin that damages the vessel in a controlled way. These vessels can then be absorbed by the body and this process renders them less visible. Visit us at our London clinic for more information and a free consultation. Skin issues like these can be incredibly difficult to live with and can make you feel self-conscious. Harmony Vascular offers an effective way of treating these problems with minimal side effects. Why Choose Harmony XL PRO Vascular Laser Treatment? 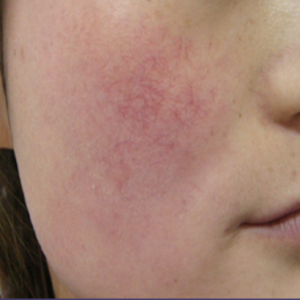 Harmony Vascular is a rapid treatment that can have visible results in just one session and for up to 4 weeks later. It’s also a simple treatment to recover from, with full recovery estimated between 24 and 48 hours, with many people being able to resume their daily lives as soon as the treatment’s concluded. There’s no anaesthetic required and the most that patients report during the procedure is mild discomfort. 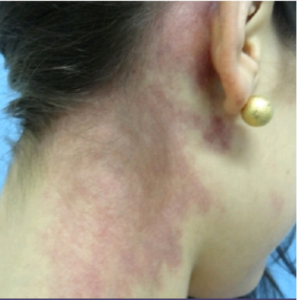 Is Harmony Vascular Laser Treatment for Me? 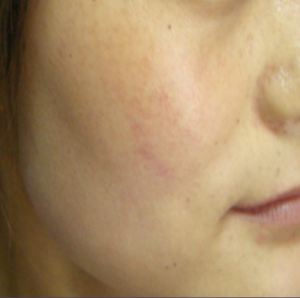 Harmony Vascular Laser Treatment is a non-invasive procedure and is therefore suitable for most patients. However, your therapist will need to go through your medical history with you and perform an assessment to ascertain whether this treatment is right for you. This is an integral part of the process and we’ll be happy to advise on alternatives at our London clinic if the treatment isn’t suitable for your particular circumstances. We never undertake procedures unless we’re absolutely certain it’s the right course of action for our patient. This treatment works by heightening the temperate in the areas of focus with a safe handpiece. It doesn’t require an anaesthetic and can have positive effects lasting up to a year. As with all procedures, there are slight side effects and Harmony Vascular Laser treatment is no different in this respect. However, many patients can go straight back to work or leisure following the procedure. 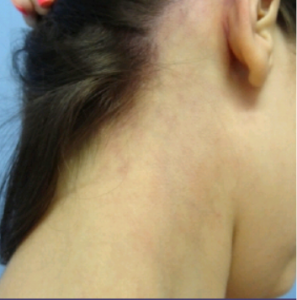 Does Harmony Vascular Laser Treatment sound like it might be the answer to your problems? We’re always happy to have a chat about a treatment to work out if it’s suitable for you. Just get in touch with us and we’ll be able to answer all your questions and, if you have any concerns, hopefully alleviate them. Don’t be shy, we’re here to help – book a consultation at our clinic in London – it’s free.